Okay, let's not talk about how long it has been since I've blogged. Let's just not even go there. Life has been VERY busy and busy is good when you enjoy the content of busy. Before and after my vacation, i've had a packed schedule of teaching studio classes and lots of privates. LIFE is good. There are so many benefits to simply taking a break, for one, your body can rest, your mind can rest, but most importantly, you deserve a break. Taking a break is so valuable. It refreshes you, re-inspires you, reminds you that you are one productive busy bee. Switching off your monkey mind to pause, reminds you of all that you do. By the time my wonderful vacation was over, I was ready again to jump into my full-time teaching schedule. Kauai, you are so gosh darn beautiful, none of the pictures on this blog post will do justice to your beauty. I will try to share as best I can. I went to visit one of my very best friends, Robin. Not only is this girl so adventurous, fun, lively, and beautiful, she reminds me of all the reasons why being alive rocks so much! Robin, is living in the moment. I had an amazing time with her. Here we go. Right after landing, our first stop was to Kauai Juice Co., for some DELICIOUS, fresh, cold-pressed juice! Next, we stopped and soaked in some beautiful views en route to her North Shore abode. Then we decided to stop at the BlueRoom Cave. No one has EVER found the bottom. It is called the "BlueRoom Cave" because the way the sun hits and reflects on the water turns everything in there blue. I thought I was in heaven. The water is freezing cold, but rather than make you shiver to the core, it is like magic water that invigorates you and fills every cell up with energy, I know crazy, right? It was so refreshing, kind of creepy to swim in, knowing there was no bottom. We swam to the back of the cave. It was so awesome. Robin, always gets me to do stuff outside of my comfort zone, one of the many reasons I just adore this lovely girl. There is said to be a ginormous gecko that lives in the water. The trip was off to an amazing start, to say the least. We went to beach after beach after beach after pond after river...Did you know Kauai is one of the wettest places on earth? With an average of over 472 inches or 39 feet (12 meters) of precipitation each year, Mt. Waialeale on Kauai is the rainiest and wettest spot on the planet. We made a quick stop at cold pond, which sure was cold, but it too was invigorating. It's no wonder these folks from Kauai are so damn happy and beautiful. Around every corner they see beauty and there is a natural way to bask in the beauty whether it be in the ocean, a cold pond, river, or the blueroom cave. We had so many amazing moments on Kauai and I was continuously blown away. 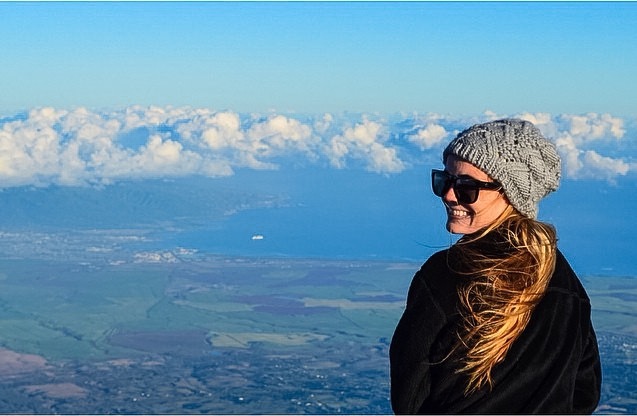 From the fields, to the canyons and waterfalls, to the napali coast, to the sunsets, to the hikes, to the mountains, to the cute town of Hanalei, this blog will never be able to do the beauty of this lovely island justice. Robin and I had a great time. A picture is worth a thousand words, right? Enjoy all of these unedited photos from my iPhone 5! I guess being "home" isn't too bad. I am so beyond blessed in my life. Love to you all! Posted in Blog. Tags: Adventure, Kauai, Life, Lifestyle, Yoga on September 16, 2014 by Laura Mary.